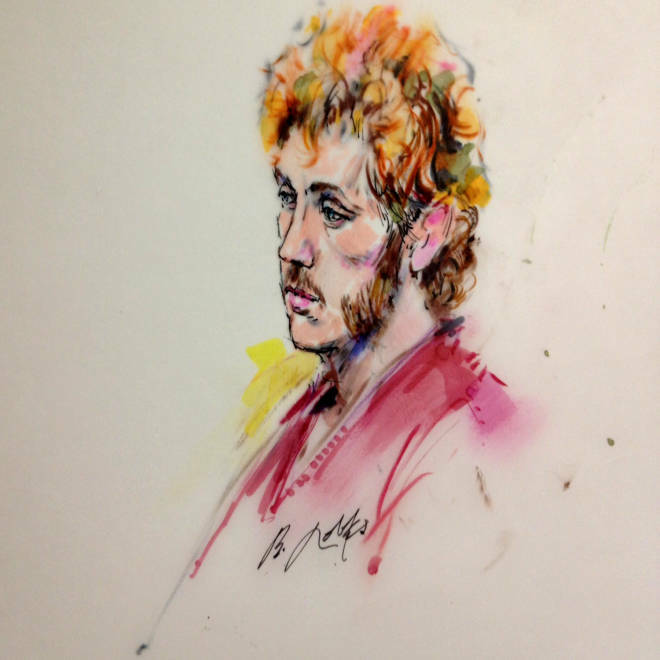 Courtroom sketch of James Holmes. A team of University of Colorado-Denver staff members designated to assess potential threats on campus responded to 337 “reported concerns” in the past two years, finding 28 credible, NBC News has learned. The Behavioral Evaluation and Threat Assessment team, or BETA Team, as it’s called, was founded in April 2010 by Dr. Lynne Fenton, a psychiatrist and university assistant professor who was treating accused Aurora movie theater shooter James Holmes as a patient. Holmes has been charged with 24 counts of first-degree murder among other charges in the July 20 shooting spree during a screening of the Batman film, “The Dark Night Rises,” which left 12 people dead and 58 wounded. Responding to a records request, a university lawyer said that of the 337 “reported concerns” examined between April 2010 and July 2012 by the BETA Team, 28 were referred to the Office of Community Standards and Wellness, as stipulated by the university’s Student Code of Conduct. Of those 28 cases, nine resulted in suspensions and one in expulsion. Fenton mentioned concerns about Holmes’ behavior to other members of the BETA Team before the July 20 shooting, according to an unconfirmed news report, which cited sources close to the investigation. The volume of reported cases does not seem unusually high for a large university with a robust threat assessment team, said Steven Healy, a former director of public safety at Princeton University and a partner at Margolis Healy and Associates, a higher education safety and security firm. The University of Colorado-Denver has more than 29,000 students enrolled on campus and online. The university said there is no list of all BETA Team members. Earlier this month, University of Colorado President Bruce D. Benson announced Robert Miller, a former U.S. attorney for Colorado, would be hired to review how the school handled its interaction with Holmes before the deadly theater shooting.